Brother DCP-J725DW Printer Ink Cartridges. Unfortunately for you eventually your Brother DCP-J725W printer will run out of ink to print with. 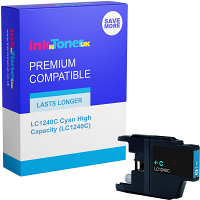 This need not be an expensive thing to replace however because at inkntoneruk we all the Brother DCP-J725W ink cartridges you need at fantastically low prices. Cheap Brother DCP-J725DW Printer Ink Cartridges. 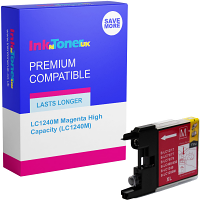 All our Brother DCP-J725DW ink cartridges come with our superb price promise where we will refund double the difference if you manage to find your Brother DCP-J725DW ink cartridges cheaper somewhere else. Value Brother DCP-J725DW Printer ink cartridges . 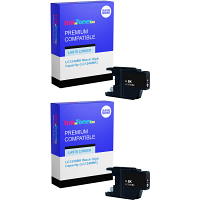 Every Brother DCP-J725DW ink cartridge we sell comes with our unbeatable guarantee. Buy today and get Brother DCPJ725DW which give you: Superb printing output Consistent and reliable printing performance Excellent lightfastness and durability Compatible Brother DCP-J725DW Printer Ink Cartridges. 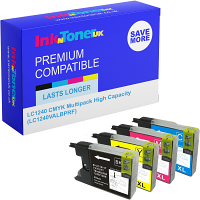 Why not save on your Brother printing supplies and still produce the same high quality printing results by choosing our compatible ink cartridge range for your Brother DCPJ725DW printer. Remember to bookmark us for next time and let us take care of all the hard work for you. 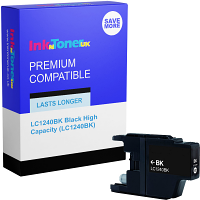 Thanks again for choosing inkntoneruk, the place for all your Brother DCP-J725DW printer ink cartridge needs.